It’s been 20 years since Tyler Christopher started performing as the dark horse Nikolas Cassadine on the ABC daytime drama General Hospital. 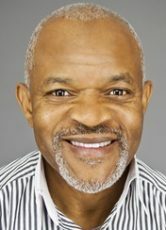 Although he’d previously received three Emmy nominations for the part, this fourth nomination proved to be a charm: he was recently honored with a Daytime Emmy Award for Lead Actor. However, it should be noted when he was just starting out, Tyler did win the Soap Opera Digest Award as Best Newcomer in 1997. This was no small feat for the newbie. After all, he’d originally auditioned for a different General Hospital part (the role of Stone Cates) in 1993, but didn’t land the part. It would be three years later that he was given the opportunity to again audition for the show amidst plenty of competition. 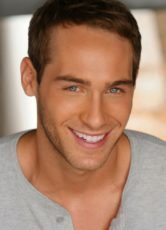 Christopher, in turn, hired an acting coach to prepare for the audition in addition to working with a General Hospital onset acting coach. This preparation paid off. He landed the role of Nikolas, and was immediately well received by audiences and critics alike. His acting partner Stephen Nichols described Christopher’s inexperience as working in his favor because he brought a “childlike quality” to the character. Nichols would go on to be a great mentor for Christopher. Christopher played Nikolas from 1996 to 1999, and then after a hiatus, he returned to the show from 2003 to the present. He also played the character of Connor Bishop for a couple of years on the soap opera after his return. His film credits include the role of Liam King in the romantic drama film Beyond the Lights. And even though Tyler experienced momentum in his early career, he’s maintained a passion for the theater over the years. During his hiatus, Tyler joined up with his close friend Ronnie Marmo in 2002 to co-found the 68-Cent Theatre Company. The company continues to feature productions in both Los Angeles and New York City.